To register and pay for a course, click the "Buy Now" button below for the class you are interested in. You will be prompted through the registration process. Once your payment has been accepted, in less than two hours you will receive an e-mail with a link to start the course. If you do not receive your confirmation within the expected time frame of two hours, check your SPAM folder. Please verify the email address for your transaction is correct. If not, contact support@childreninthemiddle.com. If you do not receive your log in information, please click here for our contact information. To protect confidentiality, the payment account must match the e-mail address you used to take the course. We only offer one account per person per e-mail address. Please click the course title and read the course description prior to making your purchase. We also recommend you visit our FAQ page for more information and to learn about our cancellation and refund policy. Click the buy now* button below to enroll in our Making Two Homes Work parent education and family stabilization course based on our live Children in the Middle coparenting class. Please have your printer hooked up during the course in order to print material and to print your final certificate. Please mark the date you paid for the course as you get up to 30 days to complete the course from the date you paid until 12:00 Midnight EST. Haz clic en el botón de abajo que dice “Buy Now” para inscribirse en nuestro curso llamado Hacer dos Hogares Trabajar de educación de paternidad compartida y estabilización de familia basada en nuestro curso en vivo de Niños en el Medio. Por favor tenga la impresora conectada durante el curso para imprimir el material extra y su certificado final. Por favor marque la fecha de su pago para el curso porque tiene hasta 30 días para completar el curso desde la fecha que usted pago hasta las 12:00 Medianoche EST. 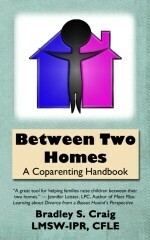 Click the buy now* button below to enroll in our Parallel Coparenting parent education and family stabilization course. This class is not a stand alone class and is designed for families where conflict continues after the completion of the Making Two Homes Work class. Please have your printer hooked up during the course in order to print material and to print your final certificate. Please mark the date you paid for the course as you get up to 30 days to complete the course from the date you paid until 12:00 Midnight EST. Click the buy now* button below to enroll in our Boundaries class. Please have your printer hooked up during the course in order to print material and to print your final certificate. Please mark the date you paid for the course as you get up to 30 days to complete the course from the date you paid until 12:00 Midnight EST. Click the buy now* button below to enroll in our Intervention Between Two Homes professional seminar. Please have your printer hooked up during the course in order to print material and to print your final certificate. Please mark the date you paid for the course as you get up to 30 days to complete the course from the date you paid until 12:00 Midnight EST. *Please note, once you have paid for the course you will need to continue to use the e-mail address used to pay for your course as your log in name. To protect confidentiality, we will only communicate with the individual actually taking the course and respond to e-mails from the original e-mail address used to pay for the class. We only allow one e-mail address per per class per account while a class is active.